It’s where the important information and updates will be communicated. I’m new to the UK Meet, how can I decide if it’s my kind of thing? Do I have to live / work in the UK? Do I have to be an author? No to both! Everyone is welcome, wherever they live, whatever they do. We remind potential attendees that this event is run for GLBTQ fiction fans in whatever capacity. It will be in 2020, the venue and dates will be announced in 2019 and be shown on the Welcome/Home page of this website. We will announce the price of tickets towards the end of 2019, in preparation for the 2020 ticketing process. We always seek to keep the prices reasonable, compared to previous years’ and with the venue costs. How can I get a place at the next Meet? 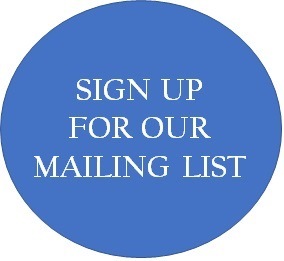 You need to join our mailing list if you’re not already on it! See all the details of our ticketing process HERE. How do I know if I’ve got a place? If you’ve followed the ticketing process, we will email you with confirmation and details. This should be within 48 hours. Please give the Team enough time to catch up with any initial rush! We like to give that part of the process the personal touch, so you won’t get any automated response. Can I just come for one of the days? How much would it cost? We don’t currently sell one-day tickets up front, as our quota for full-weekend tickets is always filled. We don’t have a price for this situation. However, please join the newsletter regardless, and when tickets go on sale, please contact us and we can consider it in the context of the whole event. You have the option of paying it all up front, or you can secure your place by paying a non-refundable deposit, then pay the balance later. There are deadlines for these payments to be made, all details on the Registration page. Is there an Early Bird discounted price I can take advantage of? Yes, all details are on the Registration page. After that offer expires, ticket prices go up to the full amount. All details on payment topics, plus Paypal buttons to help you pay easily, are shown on the Registration Page. Why is there a deposit system? Using a deposit system means that delegates can secure a place without having to pay the entire amount. In the past we had people book places then disappear, not responding to our communications. We had no idea if they were still intending to attend and wanted to pay nearer the date. Since we introduced the deposits, that problem has been eradicated. Because places at the event are limited, and in the past we had problems with people booking places and not taking them up, we feel that a non-refundable deposit is not unreasonable, to show your commitment to attending. Like you, we have a non-refundable initial cost at the venue, and the deposits help us to cover that. Can I pay the whole thing in one go? Of course you can. That helps us with cashflow, and you won’t have to remember a balance at a later date! Paypal buttons for all options are on the Registration page. Can I get a refund if I discover I can’t go after all? The deposit is always non-refundable. If you haven’t paid your balance, we will just take you off the list of attendees. If you have paid the full amount, it may be refundable at the discretion of the Team*, less an admin fee equivalent to the deposit. *For example, we would need to consider whether we had already incurred the cost of your place at the venue. No, not at any time. Because the event has been over-subscribed in the past, and because of our commitment to allocating tickets on a strictly first-come basis, we can’t allow any transfer of tickets. If you can’t, or choose not to, come please let us know as soon as possible, and we will either arrange for your place to go to the next applicant, or to the next person on our waiting list. We operate everything on a “first come, first served” basis, and the waiting list is no exception. Once all our allocation of tickets is sold, as people contact us we put them on the list. Then, as places become available, they get offered to the person on the next waiting spot, and so on. All the daytime panel sessions on both Saturday and Sunday; lunch, tea, coffee, etc on both days; delegate lanyard and event bag with goodies; USB stick containing free fiction and other content. What DOESN’T the ticket price include? We do not take responsibility for your accommodation during the weekend. We will always try to negotiate discounted rates at the event hotel for our delegates, but that’s becoming increasingly difficult to arrange. We will, however, always seek to find a venue where there are plenty of other hotel options nearby, and will provide some basic guidance for potential delegates. Any entertainment over the weekend will be run at additional, but wholly optional, cost to the attendees. What entertainment will there be in the evenings? We sometimes arrange an informal ice-breaker event on the Friday evening – a local walk or boat trip, for example. We’ll let everyone know nearer the event if we do this for 2020. On Saturday night, we will be arranging the popular Rainbow Dinner, as in previous years. Why are there two ticket rates? There will be delegates (such as readers or fledgling authors) who won’t benefit from the promotional aspects of the event, so we believe they shouldn’t have to pay for them. General attendee price is based on delegate rate plus cost of extras (such as the branded goody bags/USB sticks). Spotlight attendees (such as authors and other industry professionals) who want to promote books/services and receive publicity are charged extra to reflect that added value. Full details are on the Registration page. I’m a reader. Will there be content relevant to me? Most definitely! We treat all attendees equally. We offer extra promotional opportunities for industry professionals – and authors, artists and readers all like this – but our main aim is to have a programme that appeals to everyone. I’m an industry professional – artist / web designer / editor etc – and I’d like to offer items for the goody bags, and also promote my services at the Meet. Can I do this? Yes, you can, we welcome all artists in the genre. If you buy a Spotlight ticket you can take advantage of the promotional opportunities, the same as authors. See the Registration page for details of the Spotlight ticket, to decide whether that’s for you. We have in the past and aim to do so again in 2020. Sponsors are offered a choice of attractive marketing opportunities. Our much appreciated supporters have included publishers, bloggers, and individual or groups of authors. Sponsorship will primarily be ploughed into providing extra events and facilities for delegates. Interested in sponsoring? see HERE for details. Will there be anywhere to sell/sign my print books? Delegates buying Spotlight tickets will be able to sell and/or sign books during the author meet and greet. It’s an informal event, but you’ll be assigned a table where you can set up your wares. We recommend you bring a float and are prepared to take cheques if appropriate! It’s also useful to have a sign on your table to show who you are, and maybe have somebody who can manage your table for a while if you also want to visit other authors. How many books should I bring to sell and what should I charge? Authors sell at various prices. Often it’s cover price, but some find that a flat £5-10 rate for author copies (it’s all profit on them) sells more copies and it’s easier for everyone to carry less change. Generally people don’t sell as much as they expect to; often the sales follow on after this sort of event. It’s still a chance to reach new readers if you have a new book, or would like people to see your backlist. We suggest that you bring a couple of copies of each book, depending on how many paperback books you have out. And maybe a list or card of any ebooks you have, as a reference. If you sell out, you can always send a copy later to a disappointed buyer. We think it more important to have a welcoming smile on your face for anyone who stops by your table, browsing the books. And a small stock of something like business cards or bookmarks, so that people can pick those up, even if they don’t want to buy a book at the time. It’s a chance to make new friends, and they may also remember you and your books and put you on their “to be read” list in future. Can I bring my box of giveaways for attendees? As always, we’re adopting a ‘no randomly handing out items to delegates’ approach. This is more polite and less wasteful. Giveaways from Spotlight delegates will be put into swag bags for each delegate to take home. The best giveaways tend not to be paper ones, as cards and the like often end up in the small, round filing cabinet and never even make it home. It’s useful for the volunteers filling the bags if you make it plain what they should put in bags, particularly if you bring a variety of swag. A note saying “One item only, not one of each per bag” saves a lot of angst. There will be details issued nearer the time through the mailing list on where you can send your swag, if you need to send it in advance. As a reader, do I have to buy books at the Meet to get them signed? No, you’re welcome to bring your own books for your favourite authors to sign. The opportunity for this is during the author meet and greet. There may also be other opportunities during the weekend, because authors love to interact with readers, and we offer a relaxed and friendly setting. However, always check the author is happy to sign at that time, as you would with starting any conversation. Can I ask an author to sign something apart from a book? Just ask first! We know that many readers bring autograph books or Kindle covers for signing, and most authors are happy with this. I’ve got an idea for a panel session you could offer at the event. Then please let us know! You’ll be asked at registration stage if you have a particular suggestion or expertise, and also please feel free to contact our panel person, Chris, with your offers of help and involvement. How do I get involved in a panel? We need and appreciate volunteers to take part in, and moderate, sessions that you think may be interesting and/or worthwhile. We need plenty of involvement to make the event a success! You’ll be asked at registration stage if you have a particular suggestion or expertise, and also please feel free to contact our panel person, Chris, with your offers of help and involvement. We aim for a rewarding variety of panels, and always appreciate the goodwill and hard work of panellists. Do you pay a fee to panellists, or offer free places? UK Meet is by delegates for delegates, therefore we draw our panellists from the pool of talent we have within our attendees. In order to keep our registration fees as accessible as possible for the widest range of potential delegates, we don’t at this point offer remuneration for panellists. I’d like to help on a panel but I’m nervous! Can I help even if I don’t want to run or moderate it? Of course to all of this! If you’re a newbie to this, you will be supplied with some guidelines to help make giving a panel less daunting, and in most cases you’ll be part of a small team for moral support. While we need and appreciate people who can organise, run and/or moderate a panel, the panels benefit from a range of viewpoints from all panellists. What sort of panels do you look for? We try to have a range of panels, so that all delegates will find something of interest. Generally we try to have a writing based panel and one with more general appeal running concurrently, so we are always looking for engaging topics. We do, however, insist that content be agreed broadly beforehand with the organising team—and kept to—to ensure quality. We cannot have content being changed completely without prior agreement from us; our delegates deserve the panels delivering what has been advertised. Yes, although it’s unlikely to be Apple compatible, so please bring your stuff on a stick if you don’t use Microsoft. You will have a microphone if you’re on a panel. I’m worried my picture will be taken and end up on social media. Can you help? We understand that not all of us can afford to be ‘seen’. As in previous years, we’re using an opt in/opt out scheme, with a coloured lanyard for people to wear if they’re happy to be “snapped” and a white one to wear if they’d rather not. If you’re using a camera please don’t feature white lanyard wearers in the shot, not even in the background. This includes social events. What’s the ‘code of conduct’? Basically it’s showing respect to all. We firmly believe that diversity means celebrating difference, because it brings strength and a richness of views. It is expected and welcomed to have difference of opinions but these must be expressed with respect throughout the event. We have a formal statement HERE. We value each one of our attendees and expect our delegates to treat each other with appropriate kindness and consideration, irrespective of: race, creed, sexual orientation, gender identity, age, disability or any other characteristic. By coming to the event, delegates agree to do this. We reserve the right to refuse entry to anyone who brings the genre into disrepute. Our decision is final. First step is to register at the welcome desk, which will be operational from Friday afternoon onwards. One of our team will give you your badge and a programme, which will tell you what’s on and where, including how to navigate your way round the venue. People will be very welcoming, and if you didn’t know anyone before you arrived, you will soon after! See “what to expect at UK Meet” for a more detailed report. Can I donate a prize for the raffle? After our previous successes, we’ll once again be running the raffle in aid of our chosen charity, Albert Kennedy Trust. The organisers have decided that, to maximise funds raised, we’d rather delegates – instead of donating a prize – used the money to buy an extra ticket or two. We always have enough prizes already donated. What if I want to go to two panels at the same time? It’s unfortunate that scheduling sometimes clashes – it’s the only way we can offer more choice for our attendees within the time allotted. In consideration for the people running the panels, we’re asking delegates not to dip in and out of them, but we’re sure you’ll enjoy whatever choice you make. We’d ask that delegates also show consideration by, for example, not chatting while you’re in a room where a panel’s in progress. What if there are times I don’t fancy either panel? Then feel free to go and have a coffee and a chat in the break-out areas. We recognise that one of the advantages to this event is the ability to network and spend time with friends old and new. Our delegates have told us in previous years how much they enjoy free time in itself, and a dedicated place to sit and enjoy it. What are the pitch sessions? A pitch session is a pre-arranged one-to-one meeting with a representative from an attending publisher, usually around ten minutes long. Authors will have the opportunity to by-pass the slush pile and introduce their work to a new publisher, getting the chance to find out “from the horse’s mouth” exactly what the publisher is looking for. Note that some publishers may request to see a sample of the author’s work prior to the Meet. Details of these will be notified through our newsletter nearer the time. If I’m an author, can I claim attendance as a business expense? While none of us are tax experts and you should always check with your accountant, we believe there’s sufficient industry and training issues involved in the convention for the attendance fee to qualify as a business deduction. What will you do with all the details I’ve sent you for my registration and payment? Our commitment to Data Protection is explained here. How can I keep in touch with everything that’s going on? Please remain on our Mailing List, where we’ll send out critical information. General chat is always welcomed at our Facebook Page. If you buy a ticket for the 2020 Meet there will also be a Facebook Attendees Group where you can share more advice and information. This website will also have details of the latest information, and copies of newsletters. Please CONTACT US either through About the Team or the general email address, and we’ll reply to you as soon as possible. Please remember 🙂 The UK Meet started as a relaxed, informal event, exclusively for fans and supporters of GLBTQ fiction. Even as it’s grown over the years and now involves more formal organisation, its central aim is still to bring benefit and enjoyment to everyone who attends.